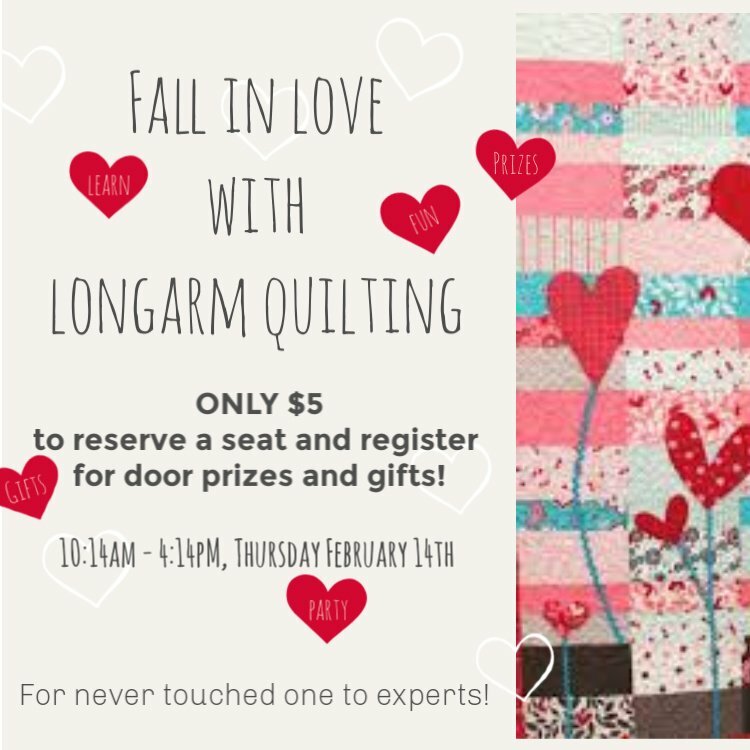 Join Margaret and Sandra and fall in love with quilting! We will be exploring so many fun and interesting things you can do on your longarm! You will be saying "You can do that?!" Door prizes! Gift with pre-registration! Short sessions fro m 15 minutes to 1 hour. We will even make an entire quilt on the machine! Come for whole day, part of the day, but we promise, once you join our quilting party, you wont want to leave!